Feral cats impact heavily on Australia's unique native wildlife through predation, and also spread diseases that affect humans and livestock. We have lost 28 mammals already to feral cats and another 120 native animals are at direct risk from this invasive species. FeralCatScan is a new resource hosted by the Centre for Invasive Species Solutions and the Australian Government Department of the Environment, and is supported by communities Australia-wide to improve knowledge about feral cats to help protect Australia's unique and threatened native wildlife. 'Feral cats' are defined as those that live and reproduce in the wild (e.g. forests, woodlands, grasslands, wetlands etc) and survive by hunting or scavenging - None of their needs are satisfied intentionally by humans. This website (and App) can be used by you to record sightings and impacts caused by feral cats in your local area. Information you record will help to identify practical and humane solutions to manage feral cats to reduce their impacts on Australia's precious native wildlife. Please be aware that FeralCatScan is intended for recording 'feral cats' to reduce their impacts on native wildlife. Matters regarding domestic or stray cats in urban areas should be directed to your local government authority, unless otherwise directed. 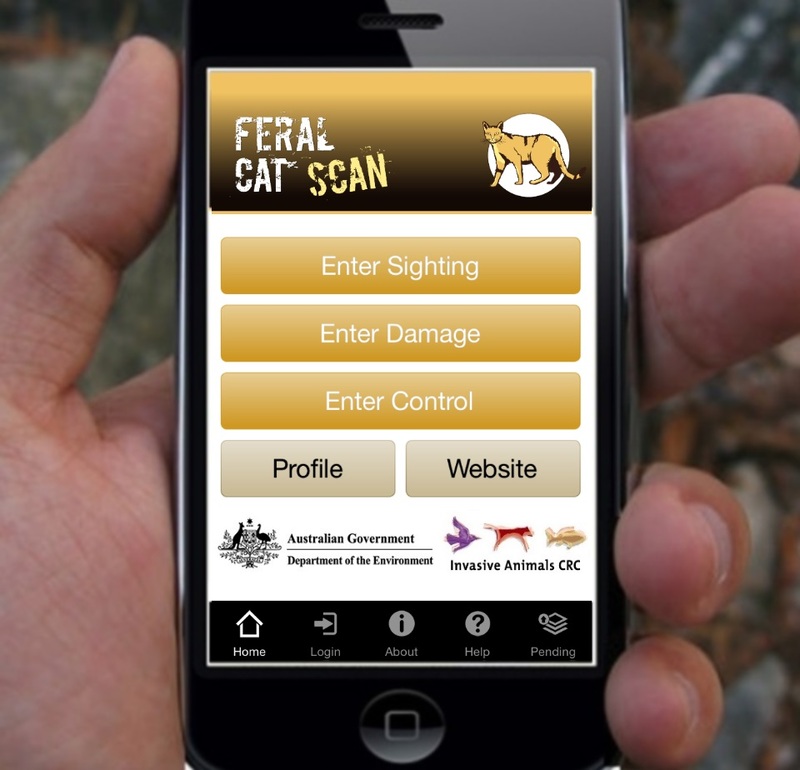 Information you record within FeralCatScan may also be shared with local government to help to establish sustainable long-term and humane solutions to feral cat management. Step 2 - Login (or enter your email address).